PRIOR RAILROAD UNIT JUST REBUILT WITH THE COST OF $29,950 AT TRANSAXLE INC. I'M NOT SURE BUT I WAS TOLD THAT THIS WOULD FIT A MARK 4, MARK 6, AND A NORDCO SPIKE PULLER AS WELL. 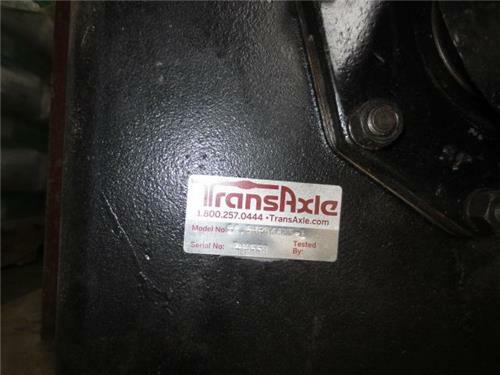 TRANSAXLE INC. HAS ALL OF THE INFO ON IT, IT LOOKS LIKE IT WILL WORK ON NUMEROUS MACHINES. All sales are final unless otherwise stated in LISTING. All sales of large or freight items is final at all times. We cannot and do not refund any shipping fees on any auction item. All shipping costs are the responsibility of the buyer.